A lawless land will always result in chaos because the residents will do just what seems good in their own sight and it is in order to avoid such, that countries have what is called a legislative body also known as a law-making body. 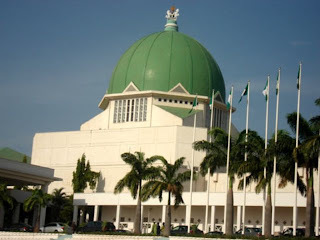 In Nigeria, the law-making body is composed of a Senate (Upper House) and a House of Representatives (Lower House). Both houses can also be jointly referred to as the National Assembly and all members of both the upper and lower houses are elected to these positions. Each of the states that make up our Federal Republic are subdivided into Senatorial Districts and Federal Constituencies and each District and Constituency is entitled to electing one person each to the Senate and House of Representatives respectively. In total we have 109 seats for Senate members and 360 for members of the House of Representatives. A quick history of successful bills passed by the National Assembly since 1999 shows a majority of these bills were first proposed by the executive arm of government. The draft bill is usually put together based on a directive by the President or it originates from one of the MDAs (Ministry, Department, Agency) of the Federal Government. In either case, the bill bears the signature of the President and it is usually submitted to both houses for their consideration. In addition to being able to play the role of a bill sponsor, the executive is also the last stop for all bills that have been passed by the National Assembly. Based on Nigeria's law-making process, the National Assembly is expected to send bills passed on the floor of the houses to the President for his/her assent and once the President signs, the bill effectively becomes law in Nigeria. When a bill is introduced before any of the houses, it undergoes a first reading and then committee consideration. After this, a second reading is held and the bill might be referred again to the appropriate committee. The committee is charged with debating the merits & demerits of the draft bill, organising public hearings so the general public and all interested persons/groups can come forward to make presentations and/or submissions on the content of the bill. After this stage, the bill is read a third time on the floor of the house and following debates and amendments, a vote is taken. If majority of the members present vote in favour of the bill, then it has been successfully passed. When a bill is passed by one of houses, it must be sent to the other house where it goes through the same process and after both houses have passed the bill, it is then sent to the President for his assent. Should the President delay or refuse assent (veto) the bill, the Assembly invoking its powers may pass the law by two-thirds of both chambers and overrule the veto and the President's consent will not be required. Civil society are often involved from the very beginning of initiating and drafting a bill for a specific cause or issue. This could be because no law exists to deal with the issue, the current laws are outdated or were passed by the military thus not enforceable in a democratic governance system. Civil Society organisations or individuals on their own can draft a bill and seek sponsorship from a member of the Senate or House of Representative since only a member of the National Assembly can introduce a bill on the floor of the Senate or House of Representatives. When public hearings are called by the committees of the National Assembly, private citizens can make submissions either as individuals or groups with the aim of showing strong support for the bill or influencing the content of the bill before it is passed into law. Other avenues for this group to participate directly in the law-making process is by engaging members of the National Assembly and the executive in order to make them aware of the stand and views of the electorate on the bill being debated. In a bid to sensitize and involve the general public in the process of advocating for comprehensive Tobacco Control (TC) laws compliant with the World Health Organization’s Framework Convention on Tobacco Control (FCTC), a social media policy change campaign will be officially launched in Lagos, Nigeria on August 21, 2013. By the end of the launch, we will let you know all the different creative and exciting avenues in which you can help protect the health of present and coming generations of Nigerians from the scourge of tobacco smoke. Meanwhile, we urge you to lend your voice to this campaign & join us NOW by signing up as a Tobacco Control Cause Champion. Simply send your 1) Name, 2) Email address, 3) Telephone No and 4) Location to info(at)socialresponsibilitymanagers.org. Signing up will get you a chance to have a specially designed Facebook, Twitter and G+ profile banner graced with Stella Damasus' picture.